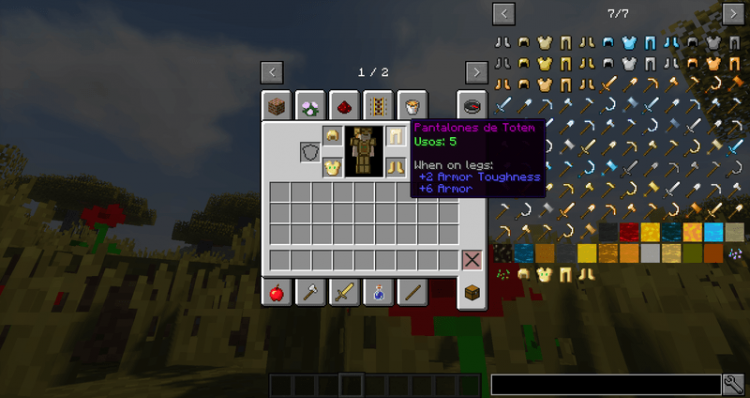 Totem Armor Mod 1.12.2/1.11.2 for Minecraft brings into the world of Minecraft the armor with the characteristics of the Totem of Undying. Totem of Undying is a new item added to Minecraft in recent versions, which is quite rare, and can only be found in Woodland Mansion in the Roofed Forest and cannot be crafted unless using mods or changing game‘s source code. The player can obtain Totem of Undying after defeating Evokers. 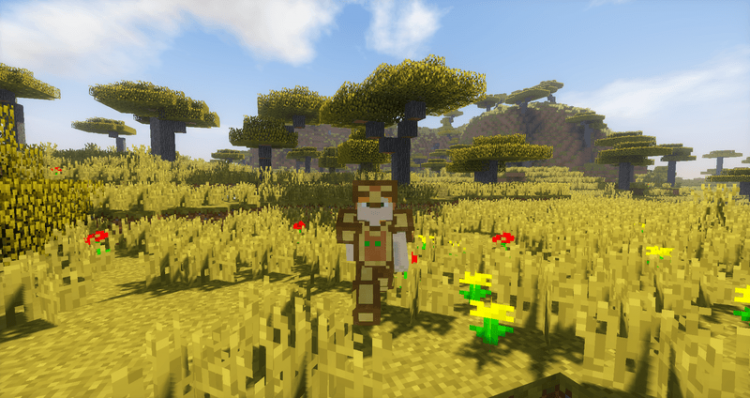 Evokers often appear in the Woodland Mansion, which has high HP stats and can use magic. You can call Evokers a mini boss. Totem of Undying is a reward for you after defeating Evokers because this item is able to save you from dying, but only once. When a player receives a fatal amount of damage, the player’s HP will stop reducing at 1 hp (1/2 heart), all status applied on the player will be erased and the player will receive 40 seconds Regeneration 2 and 5 seconds Absorption 2 buffs. 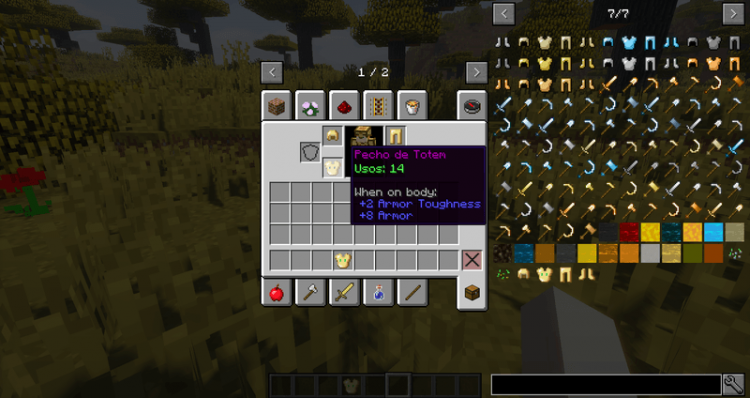 Totem Armor allows you to integrate Totem of Undying with parts in a set of diamond armor. 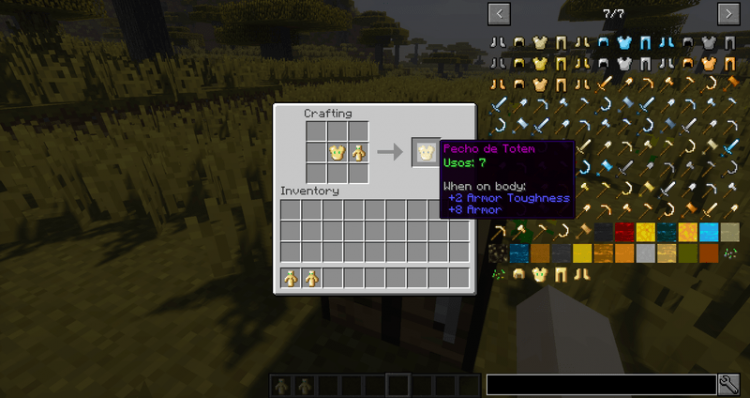 Each piece of armor can be combined with 4 Totems of Undying to create a Totem Armor with 4 “Life Saving” points. 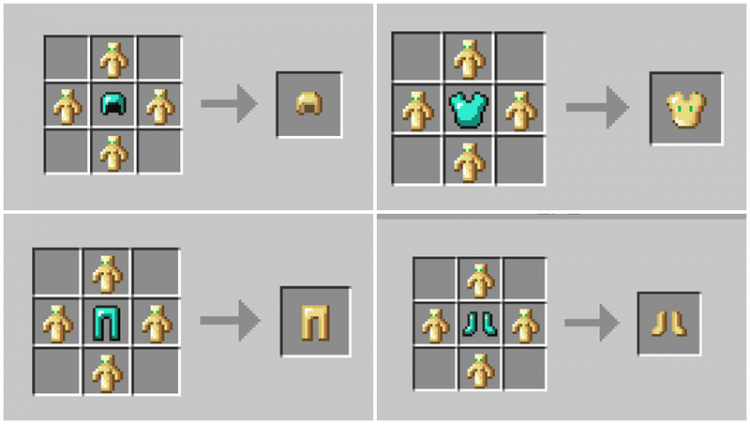 Players can increase these points by placing Totem of Undying and any Totem Armor part side by side in the Crafting Grid. 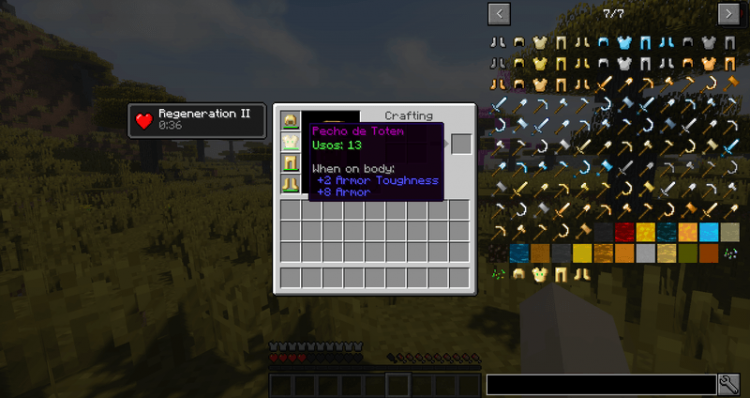 Totem Armor requires Forge Mod Loader and Minecraft 1.11.2. Download Forge Installer, Totem Armor.jar file.